LunaDra is now following Saga of Lucimia - Official. It was a test, an attempt to gather the community a specific day in a specific game, and see if it was something we could do regularly. You can read more about this project and share your feedback in this thread. But without further adoo, this is what we did last week! Thanks to @Aeyvi for the FFXIV event summary. During the day, several guildies were playing together, doing Dungeons, LFR and the usuall activities you can do in World of Warcraft. The evening, we started to gather on Discord, and soon we had 8 members online chatting together @PrHasenfuss @Agagor @Aeyvi @Conor @Vordt.Ororyu @Neny @Internet and Elloa Instead of going to Goldshire, we decided to go in the snow of Northrend and have some fun arround K3. We played with various toys, having a Murloc VS Gnoll battle, and other flying bear-form silliness. Then we headed towards Ulduar. @Animan joined us, and it was his first raid ever, he may have been ...slighty confused.Just a bit! We ended the night with @Vijo, Aeyvi, Fizzpop, Internet and Elloa doing some Mythic Dungeons. After the usual gathering at Klang Manor, the Whitestar estate in Wayrest, we formed a first group to do the Gold-key pledge: @Gribbly @Azurri @PrHasenfuss and Elloa. We eat some cake and had a very smooth run, especially considering that Proffesor was only vet7 and had never done that Dungeon before. We continued the event with two groups for some random Dungeons. One one side, @boinged Gribbly Azurri and Proffesor and on the other side, @Maggie-one @MCFranks @Internet and Elloa explored Arx Corridum. This was a good feat for Frank, who tanked for the very first time on his lvl 10 Argonian! We ended the night by gathering everyone in a single group, and we attempted Maw of Lorkaj for the first time. We scaled the Trial to Vet1, as we were only 7 unexperimented members, and not everyone was Vet16. We managed to kill the first boss without too much problems, and enjoyed very much our ride to the second one. However, the second one was more difficult to understand and abandonned the fight for that nigh after a few wipes. We were six to gather in Sakura Lane, the long road that long Heidell and lead to Mediah. @Firkan @Kitiandra @Aeyvi @Azurri @Internet and Elloa. We started by showing off our horses, chatting about breeding and training, and even had some demonstration of our skills as a horse trainer, and our abilities to fall flat on our bottom in front of the crowd. But that was only fun! We decided to go on a adventure, we mounted our horses and rode towards the East, a warm and desertic area. We met some misadventures on the way, Aeyvi even lost her mount who got killed by a rampaging creature. But we continued our adventures nontheless, in good mood. We shared some good laugh, and some nice talk all along the way. We ended the night by crossing the sea on Internet's boat, and have a promenade on the Iliya island, a heaven for fishermans.
. Following their success in defeating Denn the Orcatoothed, the adventurers returned home, tired and weary, looking for peace and tranquillity that only their beautiful house in The Mists could provide. In the meanwhile one of their fellow company member, @ConorHiggins had arrived back at the house and joined the group for a quick natter. The Mists was also graced by the faces of many Whitestar friends including Ed's future husband and the beautiful @MikuYiki. The group tended to their wounds, found a trusty fire to sit at and took some rest to prepare themselves for the next challenges ahead. As always, there was much silliness, fun and laughter, both in game and on discord. Such a wonderful summary! Thanks a lot for your work @Elloa and @Aeyvi! This was clearly a success! I am a little behind with my breeding, but got my first t5 today! @MCFranks your trial is over and we welcome you to Whitestar as a full member, congratulations! Disclaimer: this will be a long text! But also an interesting and important one! After ArcheAge release, we have decided in Whitestar, to not put too much energy, effort, and preparation in "about to be released" games anymore. Simply because most of the time our guilds do not survive the two first months of hype, and then it's a lot of energy and time that had been wasted into nothingness, a lot of hope that had been lost and sometimes even members being recruited for nothing. This happened in StarWarsTheOldRepublic, Tera, GW2, Wildstar, ArcheAge, and to some extend ESO that only survived due to my stubborness. So, we don't prepare anymore..and it works quite well. @LunaDra didn't tried to make a guild in FFXIV. The guild happened. 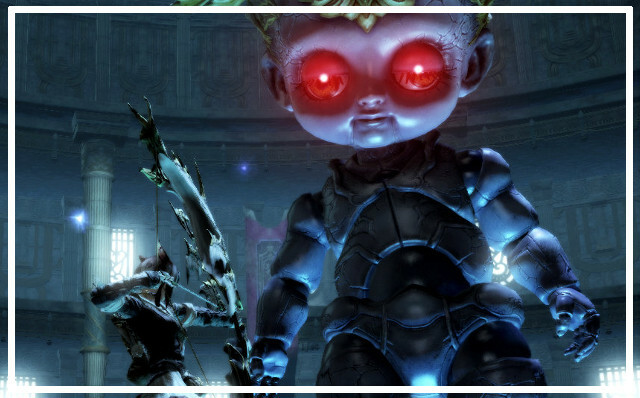 When we played Skyforge..well, we just installed the game, started to play it, gave up, no one suffered cause no one had put tons of energy and hope trying to make the project survive. For Black Desert we have already spent a LOT of energy in discussions and letting lots of room for hope. While we shouldn't. Because we have no idea of how Black Desert will survive the Hype. We have no idea of how Whitestar will react to the game. Two months after launch, it might well be a ....desert. No pun intended. Because it has already happened in 80% of new games releases. For the very first time we have that many members interested in a same game. And it's only the beggining. Because I've heard already that friends of members are getting interested to play that game too. We might end to have the biggest guild Whitestar has ever known. That's nice! But it's also dangerous. So let me underline some important fact that we need to keep in mind. As we are a social community, and not a "raiding community" or a "PVP community", we are gathering poeple with different taste, personalities, expectations, ambitions, skill level etc... That mean that many of you will want different things, and it will not be possible to satisfy everyone. 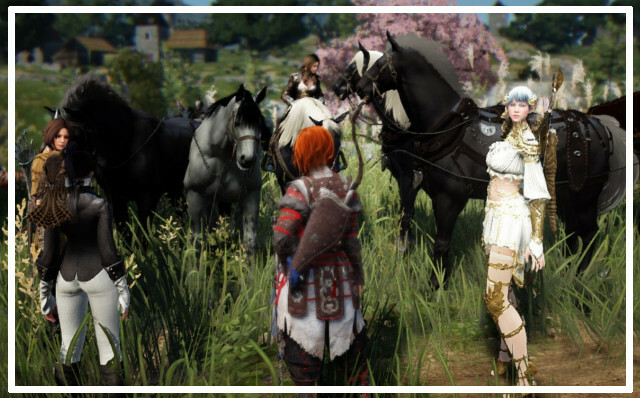 We will have to find a middleground, a way to please more or less all our members and ensure that all playstyle can co-exist, and in a game like BlackDesert it will be a lot more difficult to achieve than World of Warcraft. 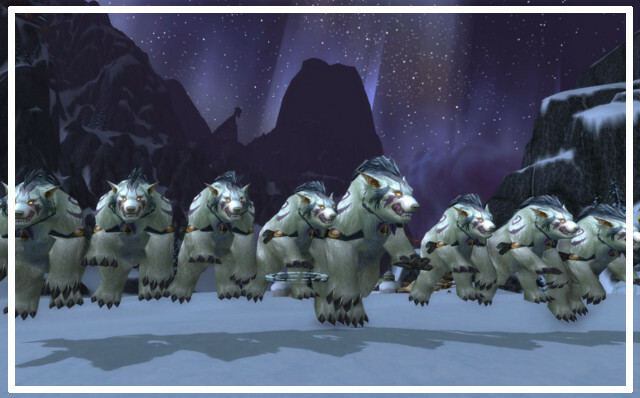 Some of you will want PVP, some will want avoid it, some will want to relax, some will want to play 24/7, some will want to do social funtime activities, some will want to progress and contribute efficiently to the guild. Be ready to have to deal with all those playstyle, to accomodate to others, to realise that your desires are not everyone desires and to put a LOT of water in your wine. Black Desert, by its very nature of "Sandbox PVP oriented" is not excactly a "Whitestar" game. You know how Whitestar is in general. A bit relax, laid back, without strict rules...We try to please all our members, we are nice and gentle, and while we have some hardcorish and some Pvpers this is not at all our majority. Does that mean that we can not exist and have fun in this game? No! Of course we can have fun! But that mean we will be challenged. And I'm not speaking about our players or our skills. 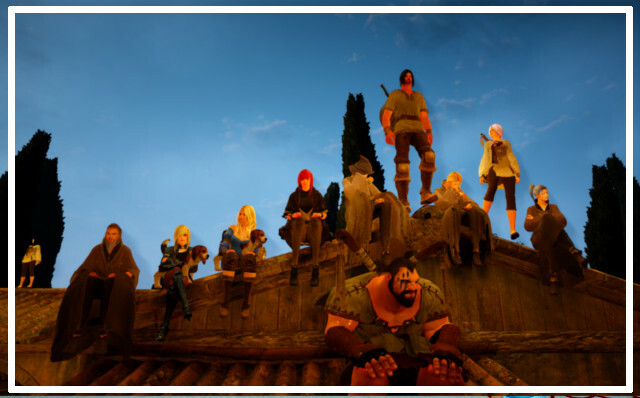 Black Desert will challenge us, as community. We will have to show a LOT of open-mindness, patience, respect, ability to listen, ability to speak up, ability to adapt, to be flexible. Be ready to use your best human and social skills! Regarding the server choice, this is one of the few thing the Council is imposing. We are following @Majiinfreddy , and we are going to trust his opinion regarding the server. Why? The first and most important reason is that some of our members are long time real life friends with Majiin and some members of his own clan. We want to allow those members being able to enjoy to play with both Whitestar and Majiin without having to do a heartbreaking choice. Second, this will open the possibility to build an alliance. And in a game like Black Desert, this will be very precious for both our communities. And Third, because Majiin have a good knowledge and experience of this kind of game and the community and we can trust his opinion. So we can already stop the server debate, because the choice is made. We will follow Majiin. If you have concerns regarding this, speak up to him. He will be happy to answer your questions. There is a thread here regarding this question. 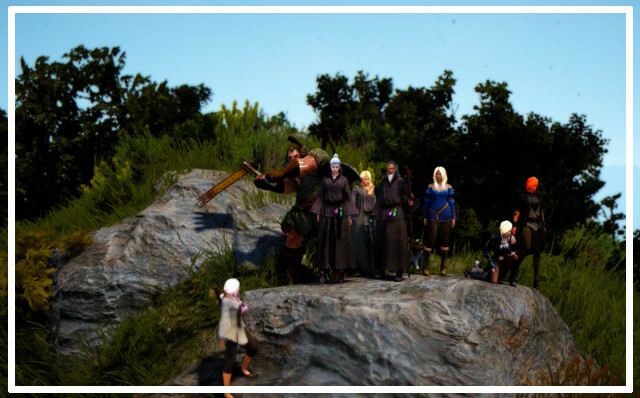 Regarding how we want to create the guild and clans, how we want to organise ourselves, how we want to allow friends of members to be part of the adventures as guest or not, that's all points we will be discussing at the meeting tomorrow. After long discussions, the Council have agreed that we need to not overstress and overthink the situation. We are going to play the game, test the water, see how it goes, how we enjoy it, at a personal level and at a community level. What matter most, is that we are having fun together, and we share a great experience in a new game all together! So I hope this bring some clarification to how WHITESTAR will happen in BlackDesert. We do not have all answers right now, but it doesn't matter. Because none of us know what adventures are awaiting for us overthere! So to confirm we are going for server Alustin? The FFXIV guild is soon reaching it's 6 month mark and me and @Cornilius decided to reward the members that have stayed active with us for all this time. @Aeyvi, @Hultay and @Xera will be promoted to a new Superstar rank. 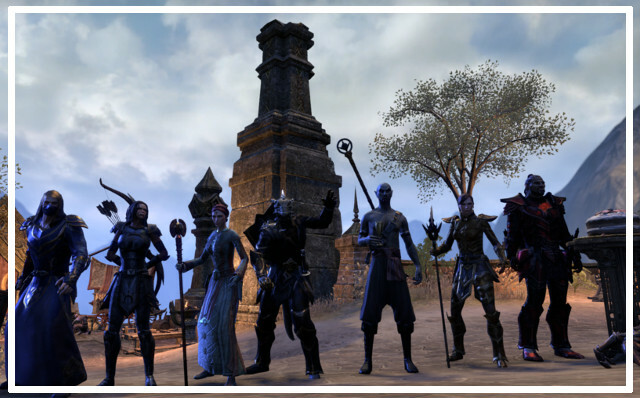 Congrats and thank you for your help making this guild what it is! LunaDra is now following MCFranks. My witch. She is my favorite at the moment... but but I want to play an elf! Welcome mate and have fun! My first attempt in making anything, work in progress. oh my god! I LOVE her!! You really are the godess of nice chars, Luna! You and Aeyvi always beat the char creation endgame!! Noone wanted the beer !